This guide offers information about OpenAthens, the library's authentication system for online resources. Permalinks are the easiest way to link to library resources in Canvas, course syllabi, reading lists, websites, and email. A permalink (also called a persistent link, permanent link, stable link, static link, or durable link) is a URL or web address that will consistently point to a specific library resource, such as a full-text article, ebook, ejournal, streaming video, database, or record in a database. Why should I use permalinks? 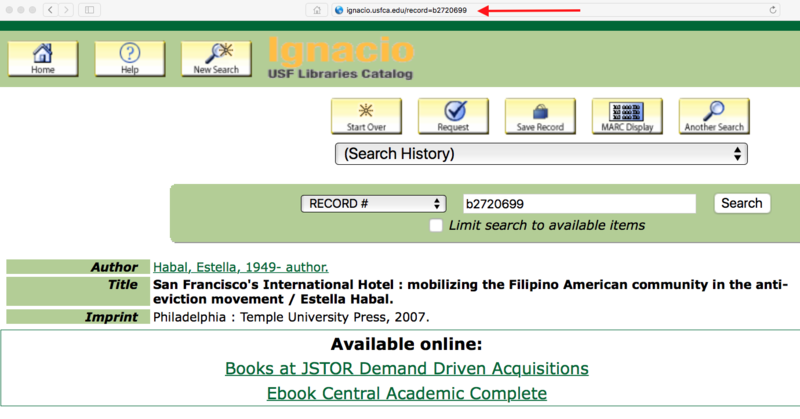 URLs or links that appear in the address bar of your web browser when you search the library's databases may be session-based or search-based and will not work when copied and used at a later time. Linking to licensed library resources in Canvas, syllabi, and course reading lists is copyright compliant. Linking is recommended over posting digital copies of the full text of an article, a book chapter, or an image. Each time a library resource is accessed, a use for that resource is counted. The librarians gather usage statistics and consider usage when making decisions about journal or database cancelations. The easiest, fastest way to create a permalink to an individual article, ebook, or video, is in Fusion. In the record you want to link to, select the Permalink link in the toolbar on the right. A permalink you can copy and paste into Canvas, a website, or email, will appear. Many resources have an option for creating permalinks. Be sure to test your permalinks before sharing. 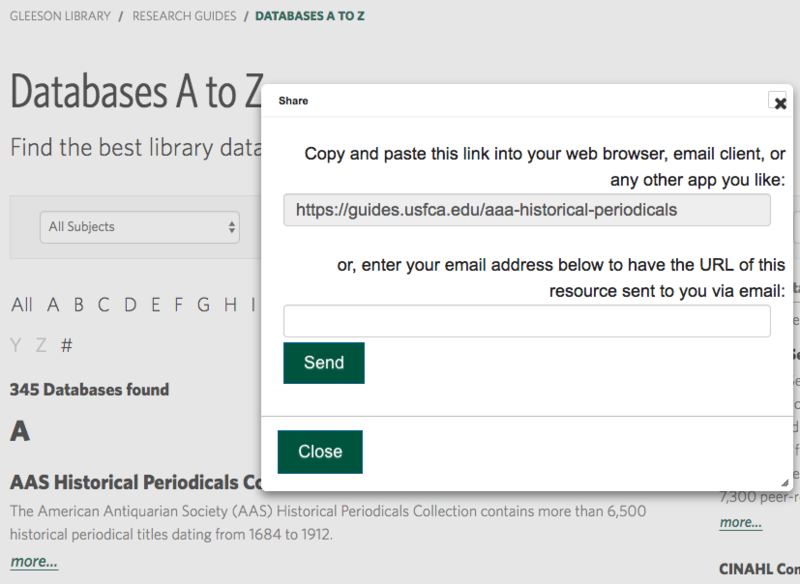 On the Databases A to Z page, click the share icon to the right of each database. Copy the URL that appears in the pop-up box. The link provided is configured for access via OpenAthens. 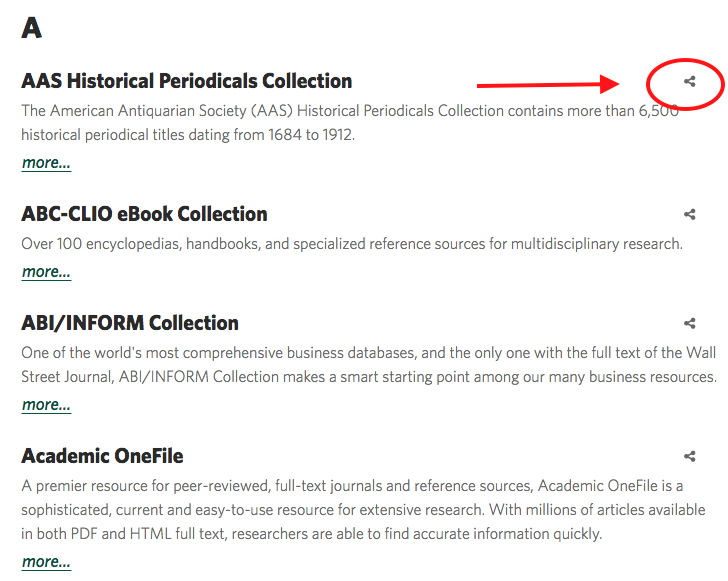 Each record in the library catalog has its own permalink. In the classic catalog, click on Link to this record in your selected record. The permalink for that record will appear in the browser address bar and you may copy and use that link. 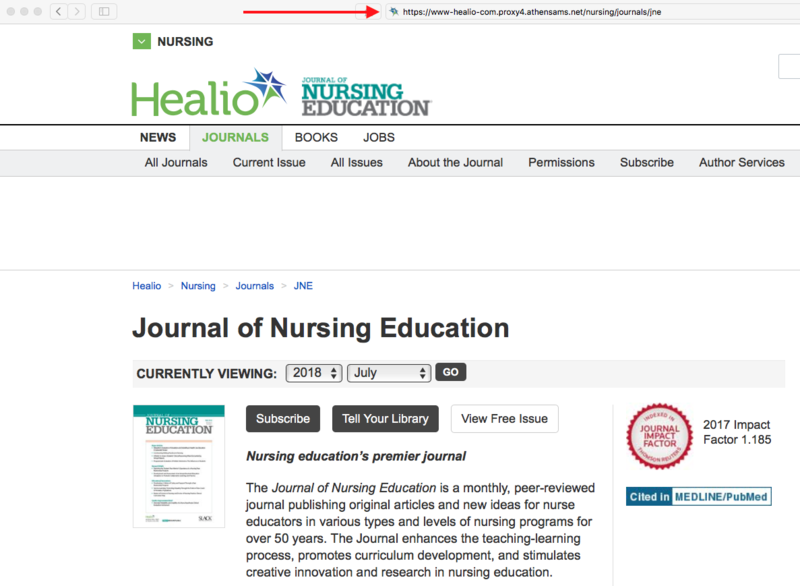 There are three ways to create permalinks to individual journal titles. 1. In the classic catalog, select Link to this record to capture the permalink. 2. In Journal Finder, search for your journal. 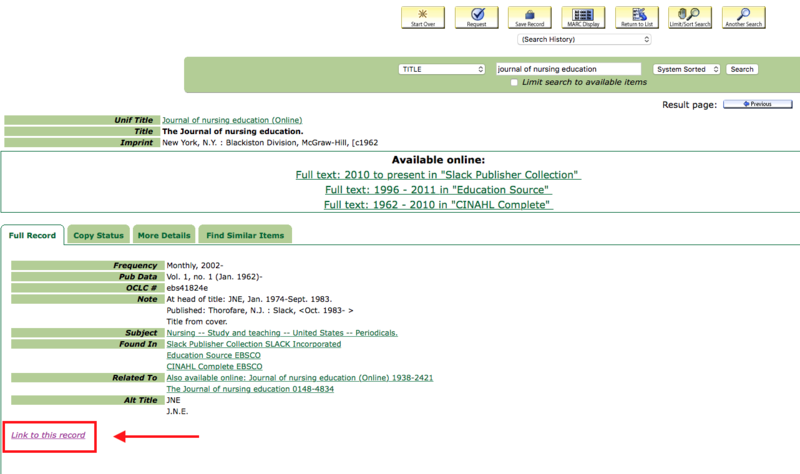 Find the correct entry and click on the journal title. Select Permalink in the toolbar on the right and copy the permalink. 3. In Journal Finder, search for your journal and find the correct entry. Look at the time span available in each database or publisher site and make a selection. Find and copy the permalinks on those sites. In this example, you may use the URL on the publisher site.